We are a custom printer of pressure sensitive labels, tags and specialty products. 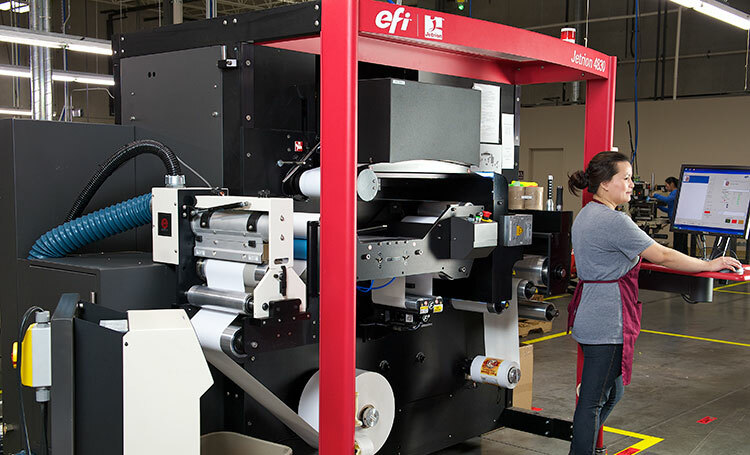 We have numerous flexographic and leading edge digital presses to produce award winning labeling products to meet the wide range of our customers needs. We deliver products and services that help our customers be successful. Whether it is a new product image to help drive sales, barcode labels to track inventory, or new innovative materials to meet a demanding environment our focus is always on our customer. Our in-house digital imaging department can provide design ideas to help you develop your product. Our plate making is done in house to ensure the quality and the response time our customers have come to expect. Our around the clock production and in-house capabilities give us the flexibility to meet our customers needs for quick turnaround of high quality products. For details on standard ink colors, typesetting and proofs; please visit our label art guide page.